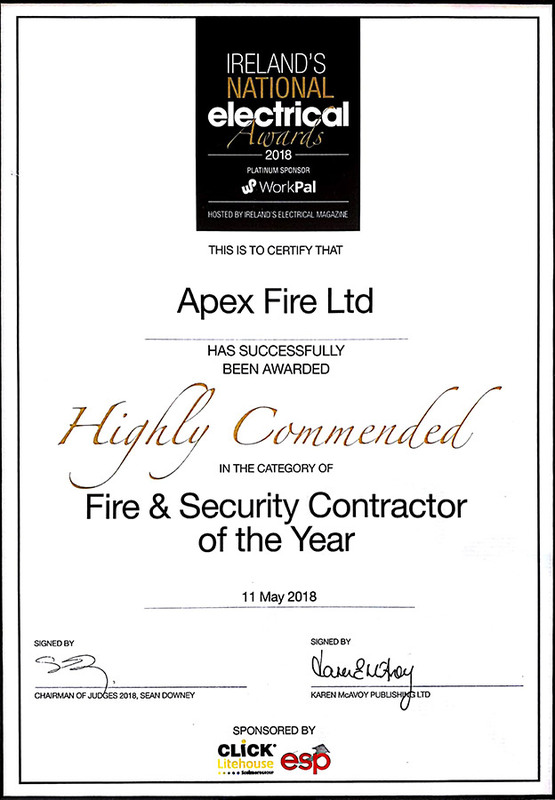 Apex Fire is Ireland’s premier leading provider of fire detection, protection, training and consultancy with over 40 years’ experience. We now have a vacancy for A Dual Technician Role to cover the greater Munster Area. The Dual Technician will be responsible primarily for installation, commissioning and servicing of fire extinguishers and fire alarm systems, as well as fault finding and carrying out necessary repairs while working with other service lines within the company. Our client base ranges from multinational/state bodies to small sole trading businesses, with each customer sharing the benefits of our knowledge and expertise. All our service technicians are fully certified and expert in their field. The successful Dual Technician will have a minimum of two year’s relevant experience in the electronic fire & security industry and have a good geographical knowledge of Munster. At least two years’ experience in electronic fire & security systems &/or electrical background. Apex Fire is Ireland’s premier leading provider of fire detection, protection, training and consultancy with over 40 years’ experience. We now have a vacancy for A Fire Alarm Technician to cover Northern Ireland. The Fire Alarm Technician will be responsible for installation, commissioning and servicing of fire & intruder systems as well as fault finding and carrying out necessary repairs. Duties will also include completing reports and paperwork relating to all servicing & call-out activity. Our client base ranges from multinationals and state bodies to small sole trading businesses, with each customer sharing the benefits of our knowledge and expertise. All our service technicians are fully certified and expert in their field. The successful Fire Alarm Technician will have a minimum of two year’s relevant experience in the electronic fire & security industry and have a good geographical knowledge of NI. At least two years’ experience in electronic fire & security systems and/or electrical background. Restaurant Fire suppression systems knowledge would be an advantage, although not essential, as training will be provided.